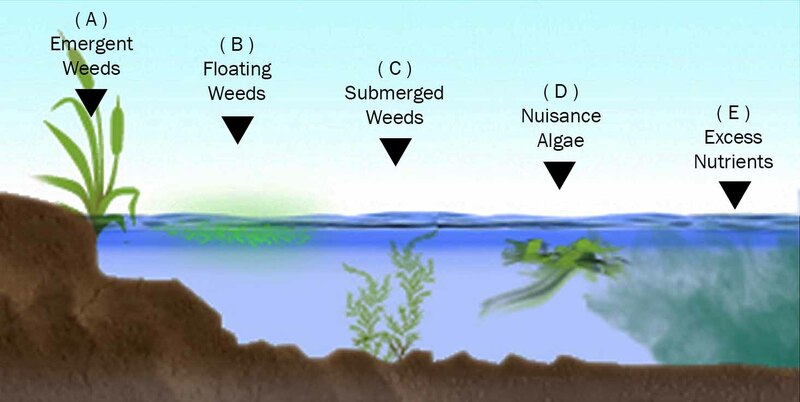 Our Aquatic Plant Identifier will help you identify and manage aquatic vegetation. In this guide you will be asked a series of questions about the plant characteristics, be shown pictures to narrow down your plant search, and then be given suggestions to identify your aquatic plant. Which of the below categories does your plant fit into?